The formation containing Double Arch is part of a larger group called the Parade of Elephants. 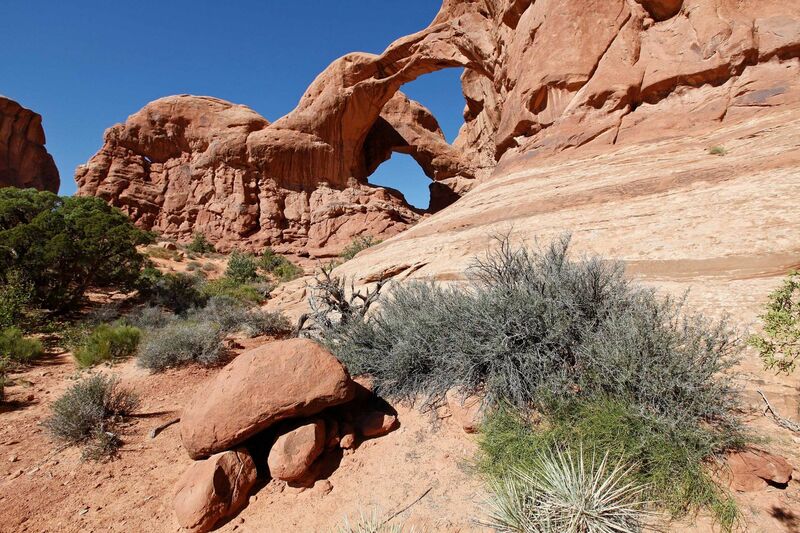 Double Arch is an unusual Pothole Arch which is caused by erosion from above rather than erosion from the side, like most of the other arches in the park. There are no guardrails or fences to prevent visitors from exploring directly beneath and through the arches so this is a great place to get up close to.